What do you want customers to see as they first approach your business? First impressions can be very important so the last thing you want to present to your customers is a dingy storefront. Although it is impossible to prevent dirt and grime from building up on the exterior of your building due to natural exposure to the elements and pollutants in the air outside, Glendale Pressure Washing offers you a convenient and affordable solution for maintaining a clean storefront with minimal hassle or added work for you or your employees. Our pressure washing service provides store owners with the perfect way to keep their storefront looking attractive and beautiful for their customers at all times. The exterior sides of your building can be discolored or stained by pollution, dirty runoff water, grime, or any number of other elements it is exposed to on a regular basis. This can cause your building to look old or downtrodden even if everything else is in good repair. 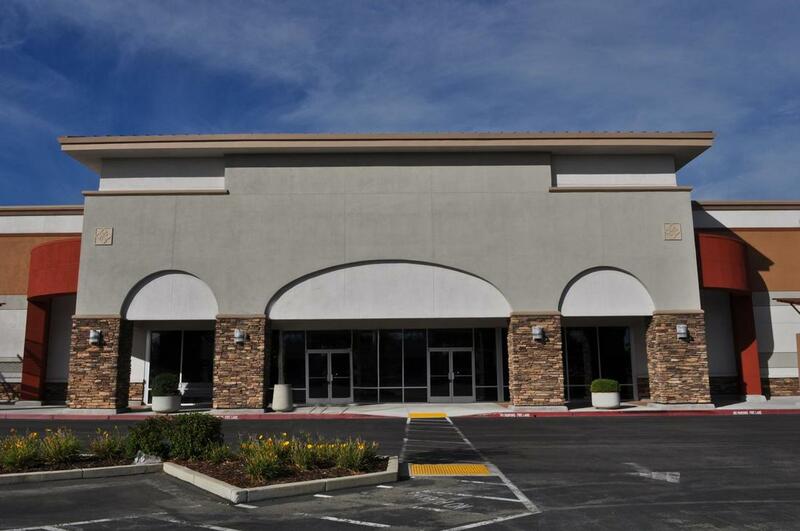 Our team helps to restore the appearance of your storefront by pressure washing the siding of you building to remove dirt, grime, graffiti, or any other unsightly marks and blemishes that can negatively impact the look of your business. Windows provide your store with natural light that can make the space feel much more welcoming and bright while also allowing passersby to see your store's displays or the activities taking place within. It is important to keep your windows clean in order to maximize the benefits that your windows can offer your business. Our power washing service is the perfect way to keep the exterior of your windows clean and free from streaks, spots, or stains that limit the natural light entering your building or obscure views into or out of your business. Pressure washing can help you effectively deal with moss growth on your roof as well as keep your roof clean and clear of dirt and debris that can clog your gutters or damage your roofing material. We use a soft washing method to avoid causing any damage to your roof while effectively dealing with any issues or concerns impacting the cleanliness and appearance of your roof to help you maintain a neat and tidy storefront that is inviting to your customers. Let us help you upkeep the appearance of your storefront from top to bottom for maximum appeal. Unwanted graffiti can greatly damage the image of a business. Fortunately, we provide a professional solution for graffiti removal that is both effective and cost efficient. You don’t need to spend hundreds of dollars to paint over the graffiti on the outside of your building. With our pressure washing services, all traces of the graffiti will soon be gone. Whether you need our help removing small tags or large images, we are confident that we will be able to help you get rid of the problem so that your customers will continue to feel safe and comfortable visiting your business.